The perfect kit for ultimate gun cleaning. 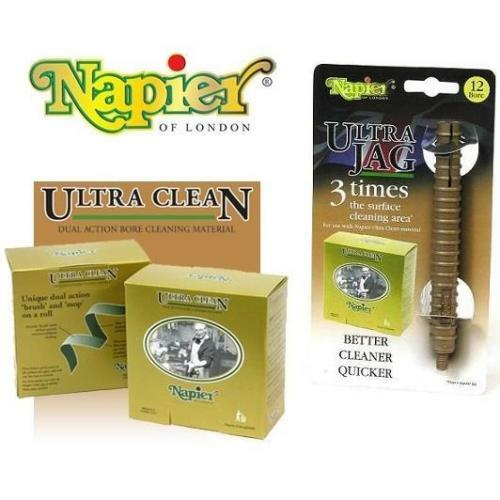 This kit includes both the Napier Ultra Clean & a 12G Ultra Jag. Ultra Clean is a revolutionary new fabric that simply cleansany gun in a fraction of the time taken by conventional materials. Ultra Clean is literally a BRUSH and a MOP on a single roll. The tread fits all Napier/Parker hale English rods.